Amid increasing competition from a new generation of highly-breathable waterproof jackets, Gore-Tex has launched a significantly improved version of its top waterproof-breathable jacket material, Pro shell. 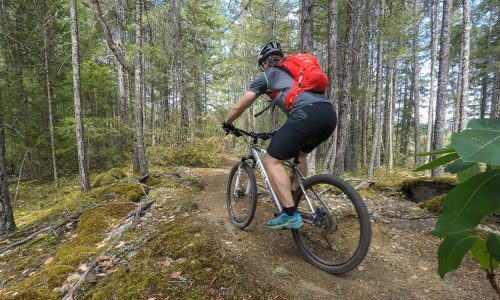 Gore claims the new material is between 10 and 28 percent more breathable than the previous version, and is more durable. 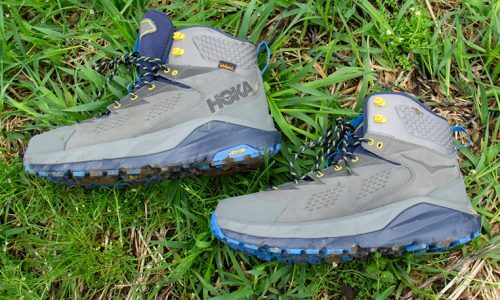 “This is a product engineered to meet the extremes,” said Tom Gray, a Gore-Tex product specialist. “We think this is the best product we’ve ever made.” The new material will show up at retailers in Fall 2013. 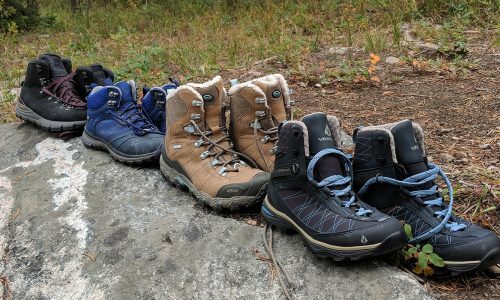 The new Pro felt perceptibly less steamy while I was hiking hard uphill, compared with what I expected from a tough 3-layer shell, and from what I’ve experienced in the burly older Pro. 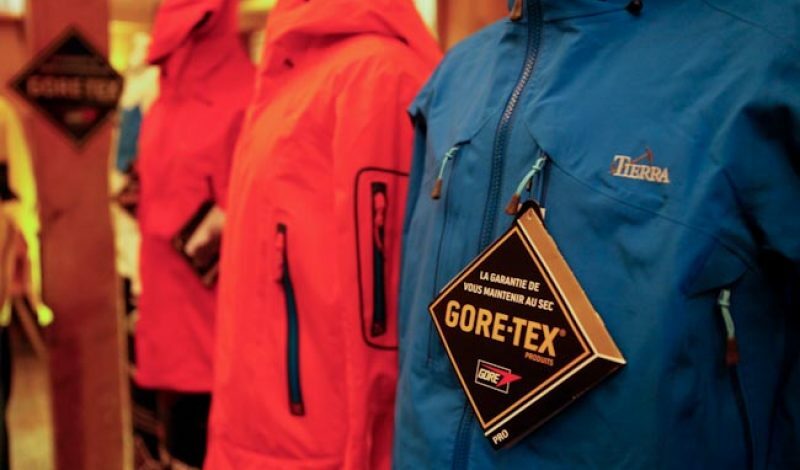 Gore-Tex launched the original Pro shell in 2007. 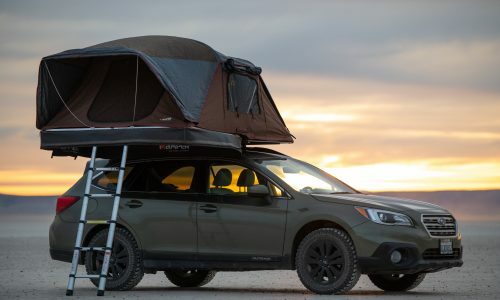 Like the original version, the new Pro is made for users who depend on their jackets in extreme environments—sustained wind and rain, heavy wear and tear, and a range of aerobic and non-aerobic activities. It hits stores in a variety of top-shelf jackets from familiar brands in Fall ‘13. The fabric is designed for mountaineers, backcountry skiers, serious outdoor enthusiasts, and multi-day trekking expeditions. It is less ideal for sustained, high-aerobic activities like running, and is overkill (but certainly adequate) for run-of-the-mill activities like a day-hike in the rain. Much more so than Gore-Tex’s other fabrics, like Gore-Tex Active Shell or standard Gore-Tex, Gore-Tex Pro is built for users who do a mix of high-aerobic and low-aerobic periods in the same outing (like sweaty uphill climbing, followed by periods of chilly belaying). It’s also the most durable fabric among the several different flavors of Gore-Tex. The material designed to accommodate 200-days of hard use without degrading in performance. You can spot the difference between the old Pro shell and new Pro shell only by taking a look at the interior backing. The new Pro shell has a rip-stop pattern (a grid). The old Pro shell does not. 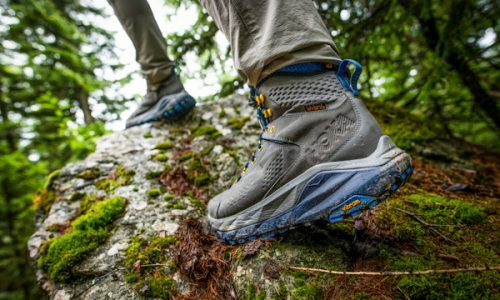 Gore-Tex says their lab saw a 10 to 28 percent increase in breathability over the old Pro shell. Those figures can be diminished by the actual design of the final jacket (i.e., how many pockets it has, how much seam tape, etc). But it’s a pretty impressive improvement over the previous material. Gore spent four years developing the new Pro product. It initiated the redesign effort in 2008. Apparently, the inspiration was a letter from a user asking the company to provide a version of the durable Pro shell that did a better job of preventing sweat-buildup during periods of aerobic activity. Gore completely changed the laminate structure (as discussed below), to allow faster moisture and air transport through the membrane, and to boost its resistance to cracking and degradation. And to increase abrasion resistance of the face fabric, Gore ditched the 20-denier and 30-denier outers on some of the old Pro jackets. In pre-product testing, Gore sent the new material to 40 guides and had them compare it with the old Pro, asking them to wear both jackets for a week. Some 76-percent of the guides found the new jacket more comfortable, according to Gore. To test the durability, Gore-Tex gave 50 guides “split-jackets”—jackets made with half new and half old Pro shell. After getting the jackets back a year and a half later and examining them closely, Gore says it couldn’t spot any difference in how much damage either garmet displayed, despite the new changes in the laminate and fabric structure. 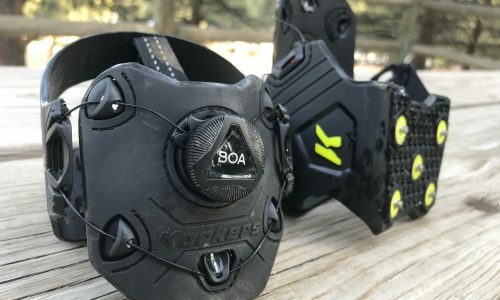 The new Pro shell is 100-percent ePTFE, sandwiched between a 40-denier (or tougher) nylon face fabric and a woven, low-denier nylon backer. The inner fabric is designed to be low-friction (for slipping the jacket over a midlayer) and resistant to wear from Velcro. The laminate is built with two layers of ePTFE around a mystery layer the company won’t discuss. Backing: a nylon backing (inner). Unlike Gore-Tex classic, there is no polymer layer protecting the inner surface of the laminate. Gore-Tex product specialist Tom Gray says the “mystery layer” designed to increase the laminate’s resistance to oils and cracks from washing, but declines to explain how, citing proprietary concerns. The old Pro had a single layer of ePTFE, protected on the inside by a polymer layer.